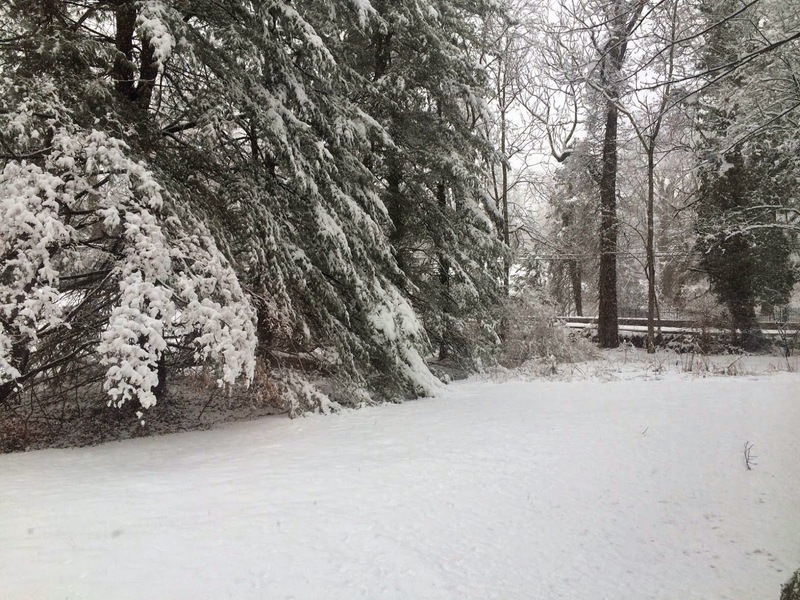 March 20 - first day of Spring 2015.Had the snow blower out clearing heavy snow from the driveway. 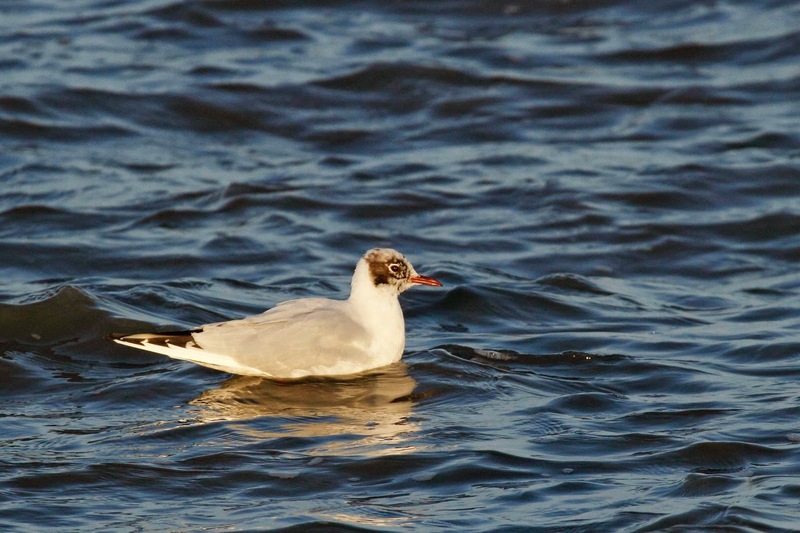 The first Black-headed Gull that we found didn't have such a black head. 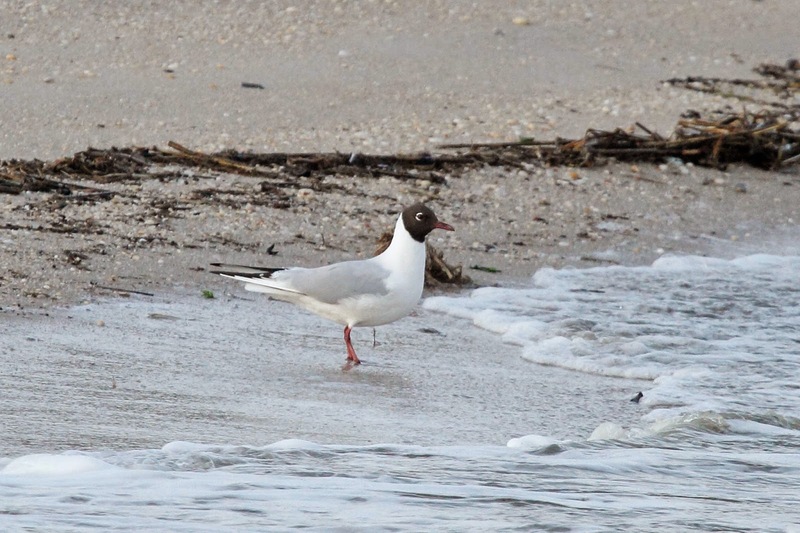 This guy/gal isn't quite in breeding plumage yet. It flew around enough for me to get this shot that shows dark under the wing tips which is a field mark. 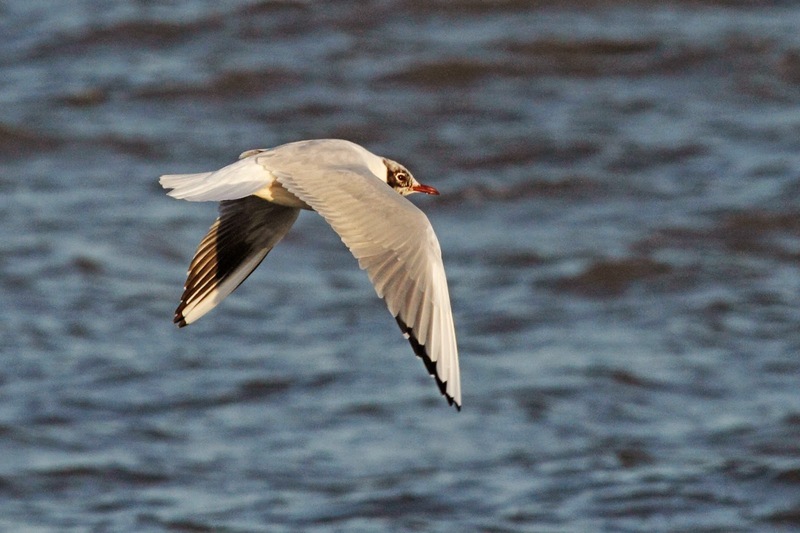 Bonaparte's gulls look very similar but lack the dark under the wings. Here is another BHGU that really looks like its name. This bird is in full breeding plumage. We were on a roll and headed to the State Park (aka Lighthouse) to see if we could find some other signs of spring. 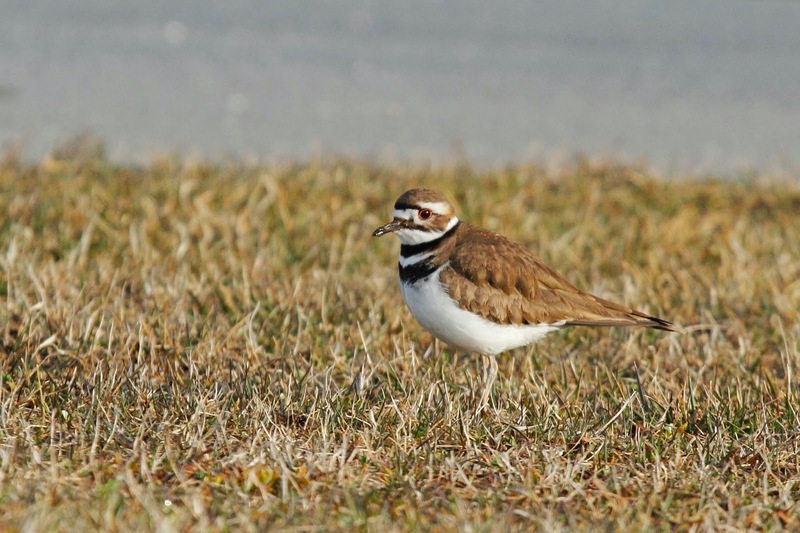 We were met by another bird that is an early migrant - Killdeer. In fact, there were a pair of them in the parking lot. A pair usually nest here every year and these birds looked like they were home rather than just passing through. Here is one of them. You can imagine how stupid I looked sitting "Indian style" in the middle of the parking lot trying to get this shot. 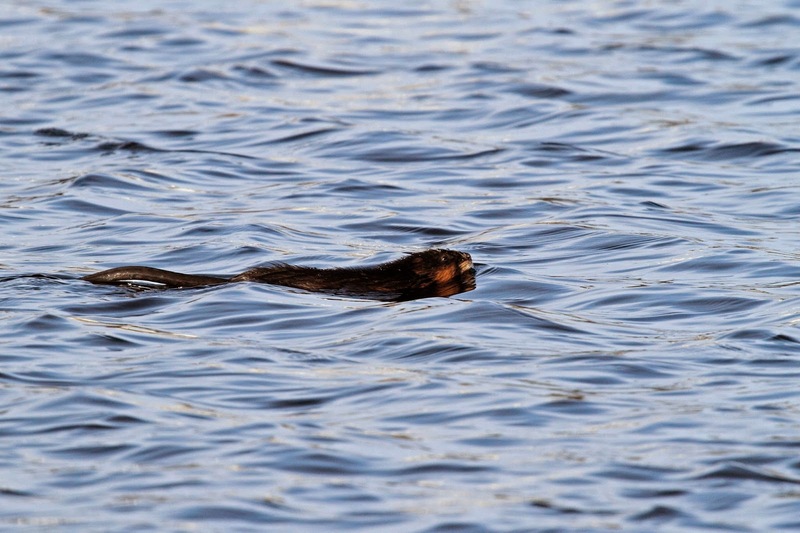 Another resident was out and about - this Muskrat swam across the pond right in front of us. They are funny looking little animals - half rat, half beaver. 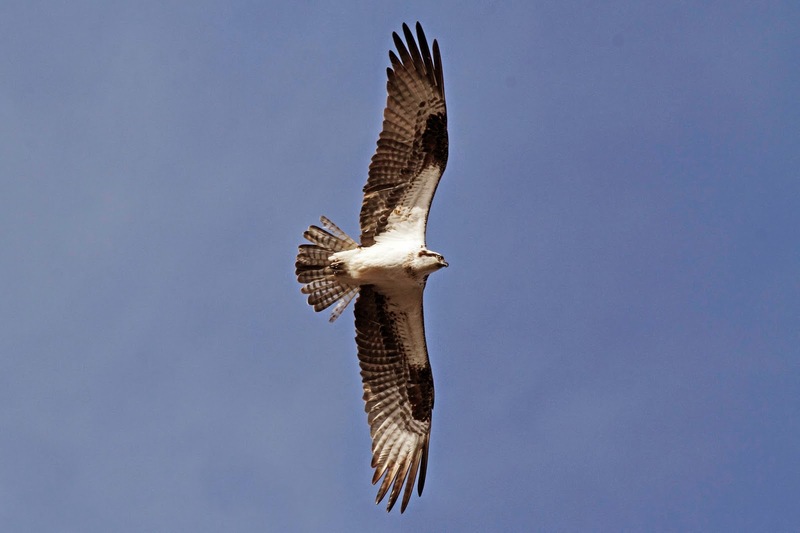 The next sign of spring came in the form of this soaring Osprey. Who knows if this bird will nest here or go farther north but he/she was looking for fish in the pond on Sunday. 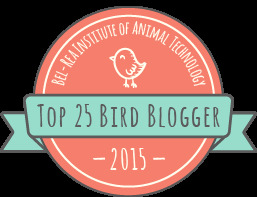 Just as we are happy to see some birds returning from the south, other birds will shortly leave us to head north. Ducks spend their winters only as far south as they have to go to find water that isn't frozen. 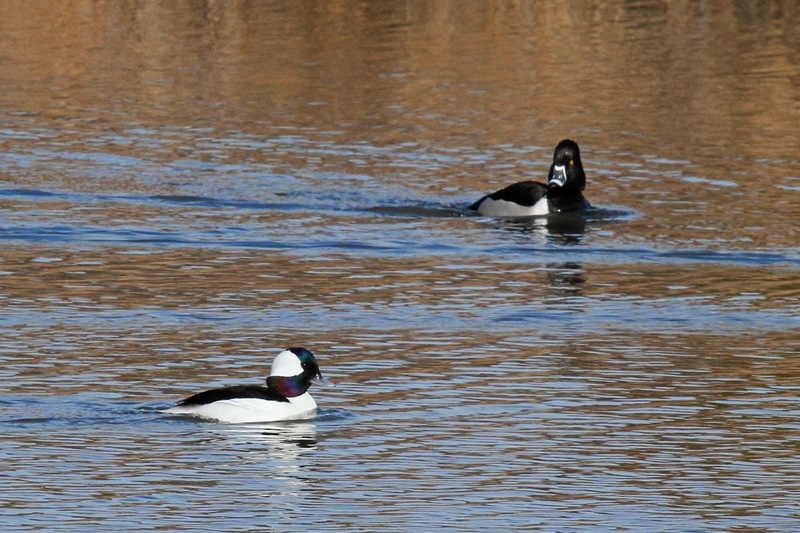 This Bufflehead (lower left) and Ring-necked Duck (above, right) will disappear shortly as the water warms. Zoom in to see the iridescence on the Bufflehead. It is amazing. More signs of spring will be showing up in the coming days. I have more to tell you about our visit to the State Park so stay tuned.